However, what is most notable about the song was it’s music video. 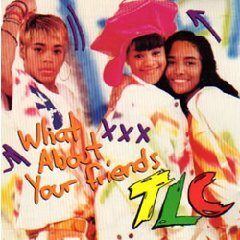 It showcased the bright colors and urban styling that dominated TLC’s Ooooooohhh… On the TLC Tip era. Their youthful exuberance and playfulness was infectious, and even though their budget was clearly slim, it clearly didn’t faze them. The video even had a cameo from Jermaine Dupri. Watch the video below and look out for our review on the TLC’s biopic CrazySexyCool: The TLC Story coming soon!